Betty Collier is a wife, mother, daughter, sister, RN, and child of the King. She married the absolute love of her life 24 years ago after he suffered a life threatening head injury requiring emergency brain surgery a week before high school graduation. Betty and her husband William reside in Bartlett, TN with their 2 sons, Jordan William age 16 and Brandon William age 11. She tells people that she became an author overnight and an internet radio talk show host over the weekend. After reading her book, Living Inside The Testimony, you will discover the inspiration that lies within all of us. Betty shares stories of faith, hope, humor, romance, and love by offering readers inspiration and encouragement in a very unique way, by sharing her incredible journey of faith. 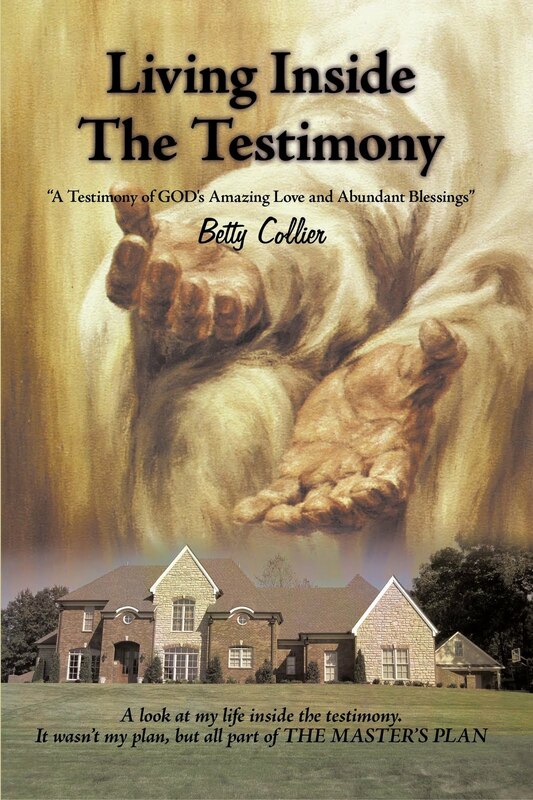 Living Inside The Testimonyis a collection of anecdotes compiled by author Betty Collier. In reading these stories, you will share in her journey and experience the inspiration, faith, hope, humor, romance, and love she experienced. The stories in Living Inside The Testimony revolve around Betty’s experiences with her family, friends, and other individuals who have contributed, often unknowingly, to the path God has chosen for her. You will hear the story of how Betty fell in love at age fourteen (with her future husband), about her husband’s near-death experience with emergency brain surgery a week before high school graduation, their experiences in New York a week prior to 9/11, and the frustrating ordeal she and her husband overcame when trying to build their dream home. Betty attributes her success and her great love to God, and she shares with readers how God has orchestrated her life’s path every step of the way. Betty’s prayer is that you will see and feel Proverbs 3:5-6 come alive and speak to your heart as you take a walk with her, inside her testimony. 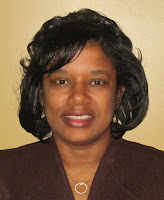 She hopes you enjoy the journey and discover that we all live inside testimonies meant to be shared with others. Elvis died. It’s funny how certain things can greatly impact some people while they don’t impact others at all, or only very insignificantly. I remember I was at cheerleading practice when we heard about his death. Living in Memphis, Tennessee, where he died made it even more newsworthy, although it was indeed world news. Most of the cheerleaders started crying, but I wasn’t distraught like they were. It’s always interested me how you remember the smallest details during life-changing moments, like where you were when certain historical events happened—such as when President Kennedy or Dr. King were assassinated, or when the terrorists attacked America on September 11. My memory actually isn’t that good at all, and for me to suddenly recall so much about my past and write about it is quite remarkable. My sister Tricia often tells me I have selective amnesia. If it doesn’t relate to me personally, and sometimes even when it does, I have a hard time remembering details. Not only do I remember this whole story because it’s true, but I finally realize that it really is a story to tell, and all of it has brought me to this point. I’ll begin with a flashback to August 1976, when I started middle school. I saw my future husband for the first time at the age of eleven in sixth grade at Shadowlawn Middle School a year before Elvis died. William and I had both grown up in the same part of town, rural Shelby County, Tennessee. He lived only about two miles from me, but we had gone to different elementary schools, so our paths had never crossed before 1976. Although our classes were across the hallway from each other in sixth grade, we basically didn’t know the other existed, except when passing each other in the hallway. Even then, we were simply a blur in a sea of faces. It wasn’t until two years later in eighth grade that we finally acknowledged each other. He was a basketball player, and I was a cheerleader, but it wasn’t love at first sight by any means. Chris Ellis, a boy on the basketball team with William, had pointed me out to him one day and asked him if he liked me. 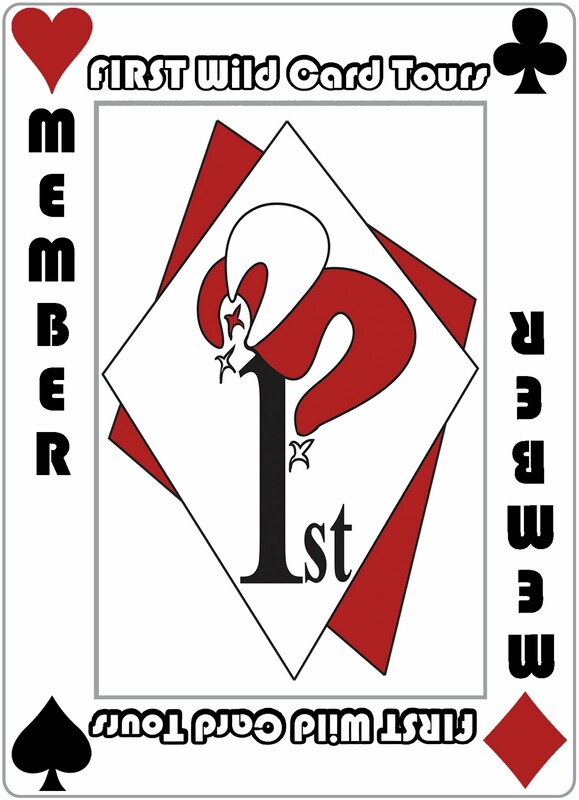 That was the first seed planted. He was so into basketball and how good he was that he never noticed me on the sidelines, but after Chris pointed me out, he started looking at me … and before I knew it, one thing led to another and we started talking on the phone. I still wonder how he got my phone number. As they say, the rest is history. We were just kids talking on the phone at first, somewhat attracted to each other in eighth grade at the age of thirteen and fourteen. Basketball and cheerleading became much more interesting after this grand revelation that he liked me. So of course, I liked him back. I pointed him out to my mother at our sports banquet at the end of the year, and I remember her exact words: “So that’s the little boy you’ve been talking to on the phone.” After school was out for the summer, we continued talking on the phone. On one hot afternoon, he rode his bike to my house with his friend Willie Blevins. I think that was the only time I saw him the entire summer, even though we were only two miles apart. Bartlett High School, August 1979, things intensified. The attraction grew, and we had more freedom in high school to hang out together. He would just appear at my next class, and we’d talk outside the hallway. He was always around, and we had a lot of fun together. He played freshman football in addition to basketball that year, and I was a cheerleader. I was on the homecoming court, and quite naturally, my “boyfriend” escorted me. We had definitely become a couple in ninth grade, and then we fell in love—deeply, madly, and profoundly in love, as much as fourteen-year-olds can, anyway. So, here we were, really in love. However, my immature, moody, and temperamental boyfriend didn’t quite know how to behave. He would probably say the same thing about me, but he’s not the one writing the book. During our first year as official boyfriend and girlfriend he would frequently “break up” with me, and then come crawling back all pitiful and sad. He did it one time too many, so the last time he did it, I didn’t take him back. We had broken up permanently! Well, if it was actually permanent, then there would be no book because we would not have gotten married. I should say I thought it was permanent because he was just too moody (and still is … sorry, William, but it’s the truth). For the remainder of high school, we were on-again, off-again. William and I didn’t appear to be headed for marriage, but the Lord already knew what was to come. I watched William. William watched me. I started liking someone else, and he eventually did too (but I won’t mention their names). He went to the prom with someone else, and so did I. Our sophomore year came. There was this big basketball game that year when we played West Memphis, Arkansas, and the star player was Keith Lee (who went on to lead the University of Memphis basketball team to the NCAA Final Four in 1985). But this was 1981, Keith’s senior year in high school, when they came to Bartlett. You should have seen William play! He was awesome. I think it was the most exciting game he had ever played. I was so excited. He was so cute, and so good. I’m sure some of the other boys on the team thought they were just as good as William, but in my mind, he was absolutely wonderful. I can still see his tall, slender body (in those short shorts they used to wear in the early 1980s—a flashback to Michael Jordan and Magic Johnson) making those jump shots, slick moves, and magnificent plays. He played against other boys that went on to play college basketball, but he didn’t play after high school. I think he became disinterested in school, and surprisingly, he even lost his competitive love for basketball by the time he was a senior. He still played, but his heart just wasn’t in it anymore, so he never tried to pursue a college scholarship and showed no desire to play college basketball. He was actually good enough to be on that University of Memphis Final Four Team with Keith Lee. But a future in basketball was not the Lord’s plans for William, although the Lord certainly did have “a plan” for him. There were times when we thought we would get back together, but it never worked out. Before we could even mend things, we would give up again. I was still a cheerleader, but it sure was hard to cheer for him after we broke up. I just had to pretend. He really was an outstanding basketball player, but how do you cheer for your ex-boyfriend? When we were on, he’d wink at me during the games. But when we were off, he ignored my presence. Most of the kids we hung out with at school knew about our saga. He wanted me back, but I wouldn’t take him. They’d ask me why I wouldn’t give him another chance, but I thought it just wasn’t worth the heartache and drama. Remember, he was the one who broke up with me, so I simply wasn’t going down that road with him anymore. He even sent me a ring via one of our mutual friends, Diane Tate, but I told her to give it back to him. It’s really funny now, but I think he bought it at the Mid-South Fair. (I would later sell him my own engagement ring when I was working in the jewelry department at Service Merchandise, so it took him a while to figure out how to give a girl a ring. I must admit he has matured quite nicely though, and I do have some bedazzling diamond upgrades now.) High school romance can be a funny thing when you think back on it. But at the time, it was really intense, and somewhat sad. I thought I had gotten over him, but as you can see, I never did. Time passed, and our high school days were coming to an end. It was May of 1983, and graduation was soon approaching. But due to our on-again, off-again status, we were off at that time. Actually, it appeared that we were definitely off—forever. We were about to go our separate ways. I was headed to college, and honestly, I don’t know where William was headed. He had mentioned going to California where his sister Bobbie lived to perhaps try to get a job on the oil island where his brother-in-law Leon worked. I don’t know if he had even asked Bobbie and Leon about going out there to California, but that’s what he told me. It appeared that we were separating for good, without ever really working things out or gaining some closure, and with some unfinished business that neither of us could get over. But in order for this to be a testimony, you know the Lord has got to be in this story. He had other plans for us that we were both unaware of at the time. We would not be separated. In fact, we would be drawn so close together that we never separated again. Till death do us part, and death almost did. Nielsen Home Scan Now Accepting Panelists!